Back in the old days before trail cameras ever were invented and long before they were popular to use to find and take deer, Harold and I would use the old school tactic of going into the woods early looking for deer sign and use our best-guess tactics to try and figure out where and when a buck would appear. The other strategy that we employed was field scouting. One time we had been watching this group of bucks go into a food plot just at dark. Consistently, we saw three nice bucks out on the edge of this food plot. Once we knew where the bucks were, then we scouted to find the trail they were using to go into the food plot, and we set-up our stands along that trail. 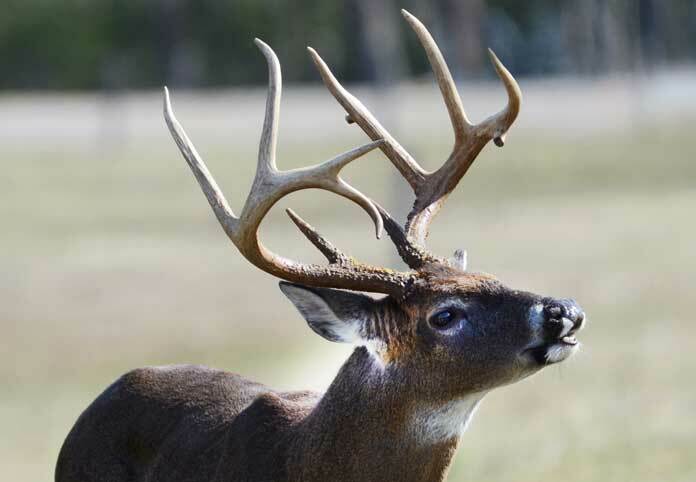 When we saw the deer coming through the woods to the food plot, I picked out the biggest buck that had antlers that would score about 120 inches. All three bucks were going to walk right by my tree stand. When the biggest buck was about 20 yards from my stand, and I saw I had a good shot on that buck, I really got excited, because this buck was also one of the first bucks I ever had taken with my bow. 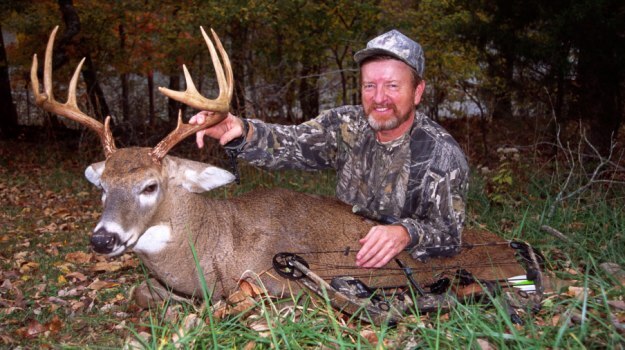 I could hardly believe that Harold and I had scouted well enough to set our tree stands close enough to the trail the bucks were using for me to get a 20-yard shot, and that I actually had hit the buck with my arrow. I started hunting with a bow, so that I could spend more time in the woods. 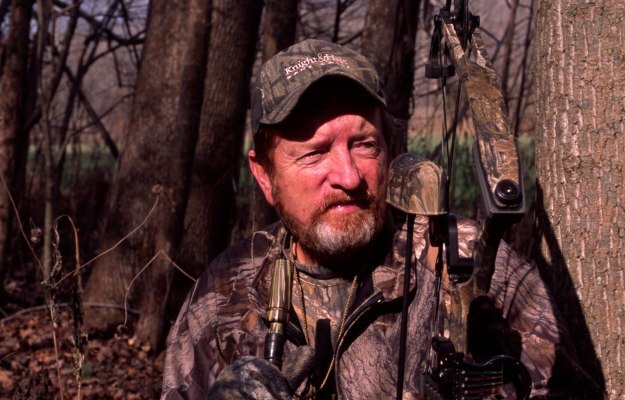 I realized that getting really close to a deer – close enough to shoot him with a bow - without him seeing, hearing or smelling you was much more challenging than taking a 50-150 yard shot with my rifle. So, I was really excited about taking that buck. One year Harold and I decided to go to Kansas to hunt. I knew that the land out there was wide-open country. So, instead of taking my bow, I opted to take a muzzleloader. 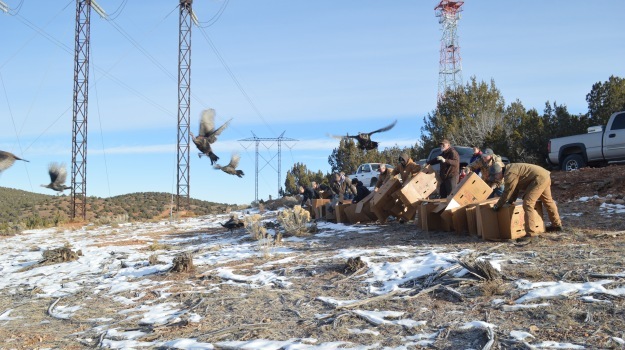 We were hunting with an outfitter, and the weather was about 100 degrees during the early blackpowder season. The wind was blowing pretty hard, and we hadn’t taken a deer for 3 days. The outfitter told me that he had seen a nice buck going into a stand of sudex (sorghum sudangrass, a hybrid that adds organic matter and smothers weeds) that looked like a cane thicket. However, this farmer had 10 to 15 acres of cropland planted in sudex to use for hay. The sudex was about 10-feet tall and was a good place for the deer to bed. The farmer said that there was one good buck, and he was traveling with two smaller bucks when he saw them go into the sudex. This was the last day of our hunt, and the farmer told me, “If you’ll get in the fencerow next to the sudex and sit there for the afternoon, I believe you can take that buck with your muzzleloader.” The terrain was so open my cameraman and I knew the deer would spot us if we sat down in this fairly-open fence row. We took burlap sacks, tied them onto the barbed wire fence and got behind the sacks in hopes of getting a shot at the big buck. This was before the time that anyone ever had seen, heard of or used a commercial hunting blind. The first buck to come out of the sudex was a young buck. He walked straight to me and the cameraman, and he jumped the fence really close to where we were sitting. 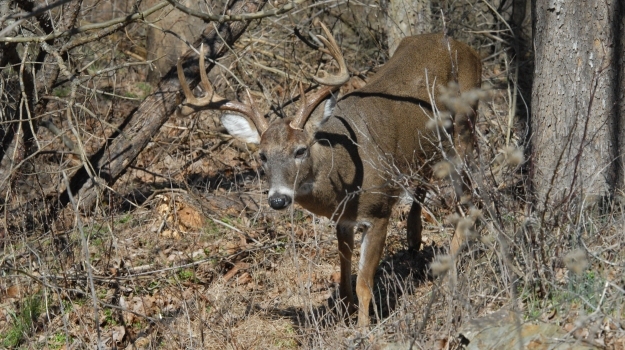 The second buck came out of the sudex, walked toward us and jumped the fence about 20 yards from us. As the light was fading, my cameraman and I decided that the big buck probably wasn’t going to come out of the sudex before dark. As I was telling the cameraman, “We probably need to go ahead and get ready to go,” he said, “Wait a minute. I think I see the big buck coming out of the sudex.” I let the buck get completely out of the sudex. As I looked through my open sights, I made the shot. Back then, muzzleloaders came with open sights. I don’t remember seeing anyone hunting with a scope on a muzzleloader. When the buck didn’t go down instantly, I realized that I had shot him a little far back. So, we decided to wait until the morning to go look for him. We came back the next morning and found the buck. 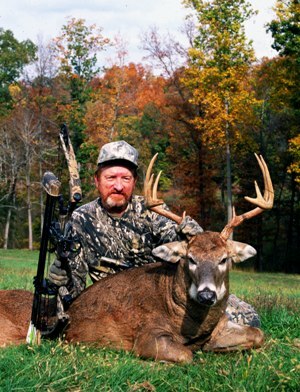 He was a tremendous buck that scored 185 inches. 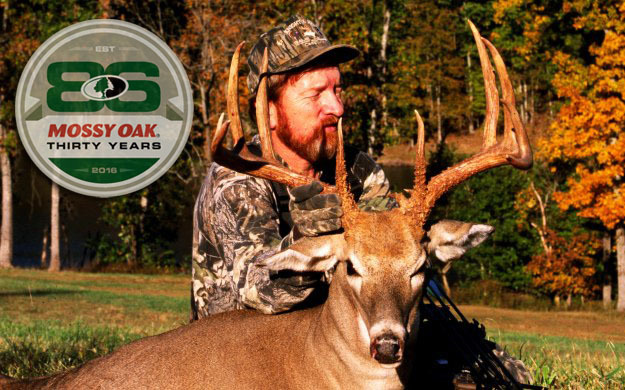 The biggest buck I’ve ever taken with my bow scored in the 160s, and I took him on November 12, 2014. I had decided that morning to hunt down in the creek bottom, because I could see somewhat further there than I could in most of the other places that I could hunt.